BAP (Beam Analysis Program). BAP is a continuous beam analysis program that solves for reactions, shear, moment, deflection, and rotation at points along the length of the beam. This version of BAP is for Windows 95/98, NT, XP or newer. MOVING LOAD GENERATOR. BAP solves for a series of truck loads. Up to 30 different trucks can be run over the beam. BAP will solve for lower bound and upper bound values for reactions, shear, moment, deflection, and rotation, and tell which truck produces the controlling value. The truck series can be saved for use in future problems. A new matrix solver for faster and improved performance. Results can be saved in a coma-delineated file, which can be called into a spread sheet program such as Microsoft Excel. Loading can be entered in pounds or kips, Newtons or Kilonewtons. The beam can have changes in cross section along its length as well as internal hinges. Point loads and distributed loads can be applied to the beam. 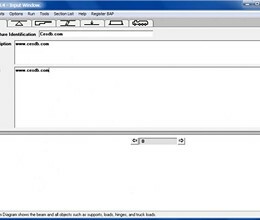 Input is in the easy-to-use Windows environment. The beam's profile with applied loads is shown to aid input verification. 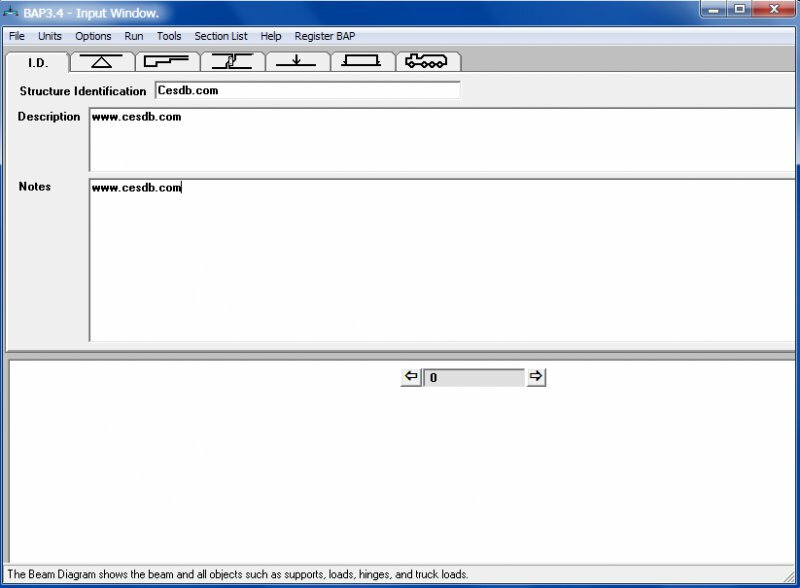 * BAP download link provides trial version of the software. CBeam 2. 0 is a windows application that calculates section properties for composite beams. BAP has been rated 3.3 out of 5 points. A total of 6 votes cast and 0 users reviewed the software.